Tameka Haynes is an associate at Frails & Wilson LLC. 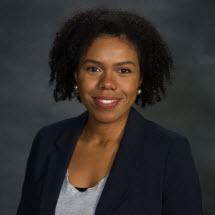 Ms. Haynes is a graduate of Duke University where she earned a Bachelor of Science in Psychology and Georgetown University Law Center where she earned a Juris Doctorate. While a student at Georgetown, Ms. Haynes served as the editor of the Tax Lawyer Journal. Ms. Haynes is dually licensed in Georgia and Maryland. Ms. Haynes joined the firm in 2016.